*Acupuncture and Traditional Chinese Medicine. Specialization includes pain management, occupational and physical therapy, internal and external traditional medicine, and female - related physical problems. 1986-2014 Ou's Acupuncture & Herb Center, Oakland. 1986 Tri - Services Military General Hospital, Taiwan, R.O.C. 1985 Medical Center of China Medical College, Taiwan, R.O.C. 1984 Municipal Kaohsiung Chinese Medical Hospital, Taiwan, R.O.C. 1983 Medical Center of China Medical College, Taiwan, R.O.C. 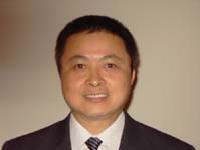 2006 Doctor of Oriental Medicine, South Baylor University, U.S.A.
2000 Doctor of Philosophy in Oriental Medicine Research Advancement, America Global University, Wyoming, U.S.A.
1997 American Institute of Acupuncture Orthopedics & Traumatology, California, U.S.A.
1986 Institute of Chinese Medical Science, Taiwan - MS in Medicine, Taiwan, R.O.C. 1976 China Medical College, Taiwan - BS in Traditional Chinese Herbal Medicine and Modern Pharmacology, Taiwan, R.O.C. 1976 Apprenticeship in Traditional Chinese Medicine and Acupuncture with 3 old Masters. 1985-1991 National Certification of Acupuncturist, U.S.A.
1979 Doctor of Chinese Medicine, Taiwan, R.O.C.